Since 2011, we’ve been steadily growing the Philadelphia Area Cooperative Alliance. We’ve been developing as an organization, establishing programs and services, and building connections among cooperatives and credit unions. In this article, I will discuss our evolution and speak to our successes and challenges with an eye towards helping other cooperative alliances in their own formation. A note on history, first: in the modern wave of cooperative business associations in the US, we’re a pioneer. However, we’re not the first cooperative association in Philadelphia. We’re not even the second. Our two most relevant predecessors were the 1940s Philadelphia Area Cooperative Federation (PACF) and the 1980s Philadelphia Association for Cooperative Enterprise (PACE). Additionally, the Pennsylvania Credit Union Association was founded in 1934. So, given this history, PACA is hardly a pioneer. We’re doing our best to be diligent students of the history of people who’ve already done what we’re doing in the place where we want to do it. PACF was active from 1940-1952 and was essentially a trade association for the 18 (!) consumer food co-ops in the region as well as a center for co-op education. I’ve been researching PACF along with Drexel Professor Andrew Zitcer. We hope to share more stories and reflection on PACF later this year. 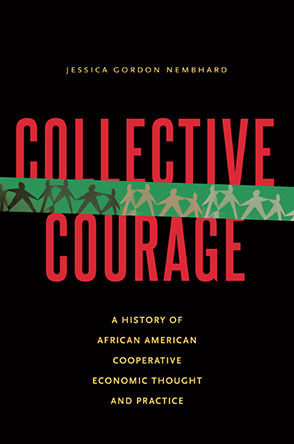 PACE was more like a co-op development center that promoted and developed worker cooperatives and democratic ESOPs. It was most active from 1976-1987. Many people who were involved in PACE are still around in Philly doing similar work, especially with ESOPs. PACA board member Teresa Mansell was involved with PACE and went on to co-found Childspace, a worker cooperative childcare center that now has three sites. With this historical lens in place, I’d like to share more about PACA and how we came about. PACA was born in the planning stages of a June 2012 conference exploring economic democracy in Philadelphia and Madison. The conference planners identified a need for a forum for Philly co-ops to connect with each other regularly. Personally, I heard about the conference, showed up because it sounded interesting, and that is how I got involved in PACA. The conference was PACA’s first big achievement. A Facebook page, a website, and an email list were started around this time. By that time, a vision for PACA was starting to take shape. A commitment was made to create a membership organization for area co-ops with a board and staff. A mission statement was written. The people involved at this point were a proto-steering committee, many of whom had connections to Weavers Way Co-op, Mariposa Food Co-op, and Kensington Community Food Co-op, The Energy Co-op among other co-op and credit union memberships. Some people were receiving workshift credit at those co-ops to participate in PACA organizing work. This proto-steering committee began planning a Philly Co-op Summit at which Philly cooperators would give input into how PACA should look. This summit took place in November 2012. More than 80 people representing many different co-op sectors spent five hours on a Saturday discussing their vision and goals for PACA along with possible membership and governance structures. An official steering committee (including myself) was elected at this summit and charged with incorporating, writing bylaws, setting member dues, and recruiting members. Over the next two years, the steering committee frequently referenced the ideas and opinions captured at this summit as we made decisions about how to form. We were all very motivated...and we felt accountable to each other and to our home co-ops and credit unions. The steering committee met monthly at various donated co-op and credit union spaces. Smaller committees tackled more concrete tasks in between meetings. We incorporated as a Pennsylvania cooperative whose members would be cooperatives and credit unions. We had been collecting unofficial donations towards events, but now we established a dues structure and began recruiting members and asking them to pay annual dues. Over time, we had some difficulty maintaining momentum, both internally and externally. Organizational development happens slowly, and as volunteers, we weren’t able to deliver any big programs to member co-ops and credit unions right off the bat, or even a year later. But we made steady progress, and we produced communications and co-op happy hour events. Internally, we did a remarkably good job maintaining our enthusiasm over three years of formation, I think. It wasn’t the same group from start to “finish,” but when people joined, they were engaged and productive for as long as they were involved. We were all very motivated by the vision we were trying to implement, and we felt accountable to each other and to our home co-ops and credit unions. We decided to apply for federal 501(c)3 tax exempt status and in late July 2014, we received notice that our application had been approved! We decided to go for the 501(c)3 status for several reasons. We wanted to receive tax-deductible donations from individuals and we wanted to be eligible for grants, which would be essential sources of funding for our early years when member dues would not be enough to fund the organization. We also sought the 501(c)3 status due to our member co-ops’ interest in having a tax-exempt partner so they would be able to raise money for their own community programs, such as nutrition education. During this steering committee time, we were part of Resources for Human Development (RHD)’s New Beginnings Nonprofit Incubator and received a $10,000 matching grant from RHD which was essential to our development at that stage. In early 2014, we formed a partnership with the National Cooperative Business Association. Through this partnership, they offered us both back office support and significant financial support. This partnership enabled us to fast forward our development and to begin delivering on our mission in substantial ways. With NCBA’s support, we hired an executive director in September 2014. The executive director, Peter Frank, has been involved in PACA since the very beginning. In December 2014, we held our first Annual Member Meeting and elected our first board of directors. We’ve enjoyed many successes in our short time as an organization. We’ve built strong partnerships with diverse groups such as NCBA, Democracy at Work Institute, New Economy Coalition, Drexel University, Haverford College, Pennsylvania Credit Union Association, and the Schumacher Center for a New Economics. Our events are well attended by enthusiastic cooperators and solidarity economy allies. We’ve built up a community of 860 people on Facebook and 700 people on Twitter. Around 700 people receive our twice-monthly -newsletter, the Philly Co-op Scoop. As we reflect now on lessons learned so far, we also remember that we had a good context to do this work in. Philadelphia has many movement builders and a good density of cooperatives and credit unions: approximately 180 in our metropolitan region. We also had no competition from other groups trying to do similar work, probably in part because we cast a wide net of inclusion from the beginning. We started asking co-ops and credit unions for financial support very early on, and this turned out to be fully necessary for our development and growth. Individual co-ops and credit unions supported us with financial contributions, but also with staff time, donated space, and offering workshift credit to people doing PACA work. We made a point of being a leader and prominent organizer in the Philadelphia region’s solidarity economy. We prioritized communications, and made sure to toot our own horn as we achieved milestones. We tried and mostly succeeded in balancing our capacity with our promises, but this isn’t a box we’re ever going to check off as we continue to grow and transform. Today, PACA has 20 dues-paying member co-ops and credit unions. We are proud to be a truly cross-sector organization. We are two full time staff members, Peter Frank and Michaela Holmes. Their positions are made possible through partnerships with the National Cooperative Business Association and the Democracy at Work Institute. I’m working part-time for PACA. We’re still constantly figuring out what it means to be a sustainable organization and how we can work towards that. We are wary of the traps of the nonprofit industrial complex, and we’re committed to being accountable to our cooperative community. We have a lot of exciting things on the horizon now. We’re currently developing a new program called the Cooperative Leadership Institute, a rigorous training program for individuals working within cooperatives. We’re providing pro bono and fee-for-service business development to startup co-ops, and we’re writing grants to increase the amount of pro bono development we can do. We’re on the cusp of launching a sustainer donor campaign to build a community of grassroots donors. Our most essential goal is that PACA’s existence will grow and enhance the cooperative economy in the Philadelphia region. There will be more co-ops, and they will be stronger and better connected to each other. We invite you to join us, or a cross-sector cooperative alliance in your region, in building infrastructure and inspiration for this vision. Caitlin Quigley helped launch the Philadelphia Area Cooperative Alliance. She is a member of Mariposa Food Co-op, The Energy Co-op, and Philadelphia Federal Credit Union. She also writes a monthly column about Philly co-ops for Generocity.org. While living in Bellingham, WA, Caitlin co-founded the Whatcom Investing Network, a forum to facilitate investments between local investors and local businesses.